Ratchaburi (often shortened Ratburi, Thai: (Pronunciation)) is one of the central provinces (changwat) of Thailand. Neighbouring provinces are (from north clockwise) Kanchanaburi, Nakhon Pathom, Samut Sakhon, Samut Songkhram and Phetchaburi. In the west it borders Tanintharyi Division of Myanmar. Ratchaburi means, "The land of the king." The province is full of cultural heritage, beautiful landscapes and historical sites. It is located 80 kilometres west of Bangkok and borders Burma to the west with the Tanaosi Range as a natural borderline. The Mae Klong River flows through the centre of Ratchaburi town. 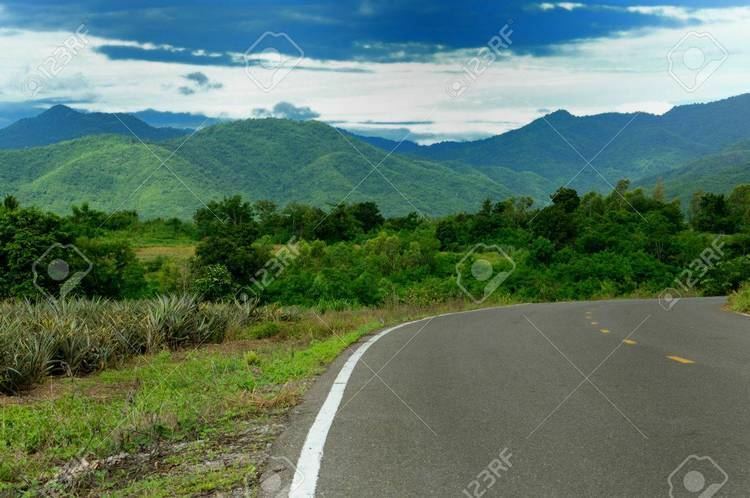 Ratchaburi Province covers 5200 square kilometres. 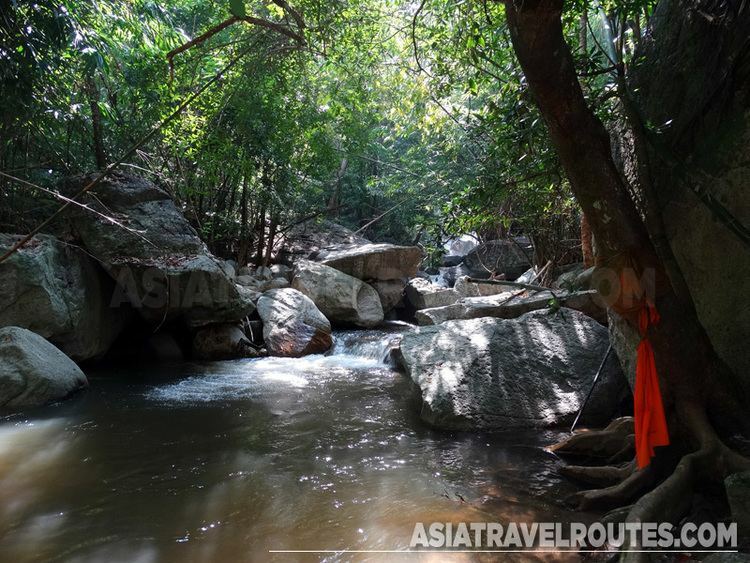 The east part of the province contains the flat river plains of the Mae Klong river, crisscrossed by many khlongs. The most famous tourist spot in this area are the floating markets of Damnoen Saduak. The west of the province is more mountainous, and includes the Tanawsri mountain range. As the mountains are made mostly of limestone, there are several caves containing stalactites. Some caves are inhabited by large colonies of bats, and it is an impressive sight when they swarm out in the evening to feed. Other caves like the Khao Bin are accessible for visitors. The main river of the west part is the Phachi River. Ratchaburi Province is about 100 kilometres (62 mi) west of Bangkok. The area of Ratchaburi province is divided into three parts. First, the border in the west which is shared with Burma and is about 60 km long. The second, containTenasserim mountains and forests with a height of about 200–300 meters above sea level. Finally, the central area of the province is rich in wetlands due to river flow. Ratchaburi has important natural resources are forest which it have area about 38 percent of the province. Moreover, it has mineral such as tin, tantalum, feldspar, quartz, limestone, and marlstone. The history of the city of Ratchaburi dates back to the Dvaravati period, when it was an important city of the Mon kingdom. Of the contemporary city Khu Bua nearby only ruins remains. According to legend it even dates back to the mythical Suvannabhumi kingdom predating Dvaravati. Ratchaburi has lots of places to visit and the most popular tourist attraction is Damnoen Saduak Floating Market. It is an identity of Ratchaburi and is also well known around the world. Damnoen Saduak Floating Market is in the Damnoen Saduak district. It shows the peoples life style and the importance of the river as a mean of commerce. 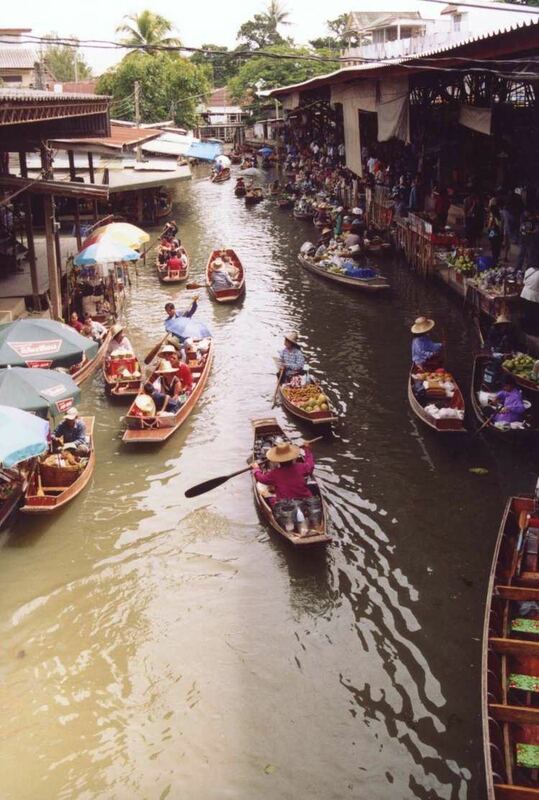 The vendors would paddle their boats up and down the waterways selling and bartering their merchandise. Their faces are often shielded from the strong rays of the sun by hats made from bamboo and palm leaves. The markets start in very early morning until 11:00 A.M. Nowadays, many tourists from around the world come to visit because it shows an old fascinating style traditions. 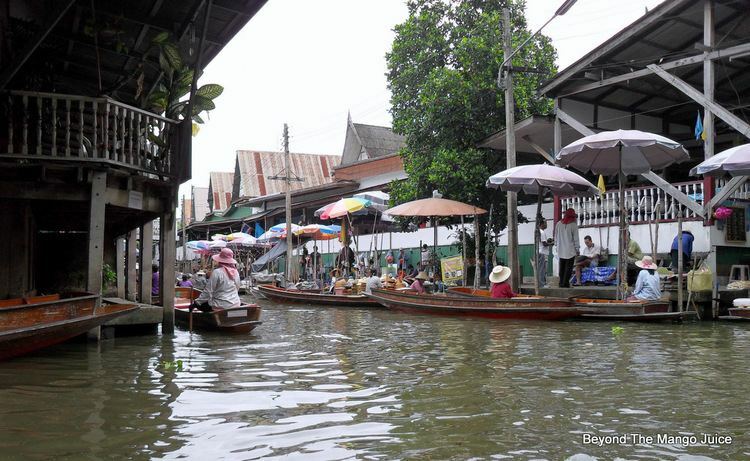 That is why the Damnoen Saduak Floating Market became the top ten famous places in Thailand. Wat Phra Si Ratana Mahathat - is an ancient temple, locally called Wat Na Phra That, is located on the west bank of the Mae Klong River in the town. Its elegant prangs or pagoda remains in good condition and was probably copied from Cambodias Angkor Wat. The beautiful prang made of bricks and a stone stands on a rectangular base with pathways around the cloisters. The outer stucco designs were made in the reign of King Borommakot of Ayutthaya. Buddha images of Dvaravati, Lop Buri and Ayutthaya periods are placed around the pagoda. The temple is the most famous temple in Ratchaburi because it is the first temple and it has a fascinated architecture. Murals of Wat Khongkharam - at a Mon monastery over 200 years old and originally called "Wat Klang" or "Phia To". King Mongkut gave it a new name as "Wat Khongkharam". 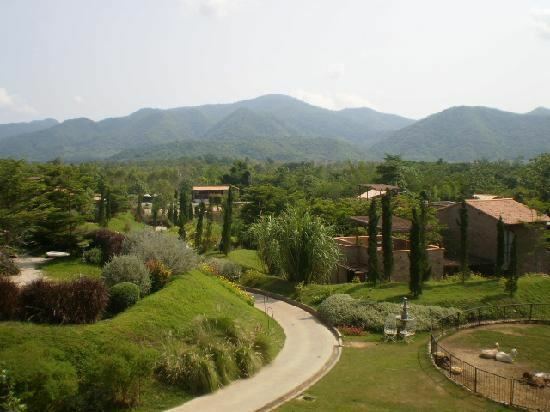 It is located in Amphoe Photharam, some 22 kilometres from Ratchaburi. The beauty of the main shrine hall is very interesting and good for studying about mural paintings. Bo Khloung Hot Stream - is located five kilometers beyond Amphoe Suan Phung. The stream is full of mineral water. The water flows all year round from the Tanaosi Range. Its temperature ranges between 50-68 degree Celsius. On the route to the hot stream, a three kilometres branch road leads to Namtok (waterfall)Kao Chon, which consists of 9 cascades. The waterfall is plentiful during the late rainy season. Many people come to here; they believe that it can be used for skin treatment. Kaew Chan Waterfall or Nine-Level waterfall - is one kilometer from Bo Khlung hot stream. Kaew Chan Waterfall’s name was given by Princess Sirindhorn. As the name indicates, the water cascades from the ninth level and down the central valley of steep cliff, especially during the rainy season when there is always a lot of water at the top level. It is possible to walk up to the ninth level and takes about two hours. Pong Yub - is located at Ban Tha Kheay, turn left about five kilometres before the town centre and go straight ahead for further five kilometres. The subsidence of the ground has created a steep cliff similar to the one in Pae Muang Phi in Phrae Province. Khao Bin Cave - is located about 22 kilometres from Ratchaburi city centre is the mountain range of "Khao Bin", or "Flying Mount" which is home to the cave of the same name. Inside the cave there is incomparable stalagmites and stalactites. It was one of these stalagmites in the shape of a majestic giant eagle with its wings outspread which gave the cave its name. Also inside the cave there is a small mineral spring which villagers believe is sacred. Nowadays, illumination by coloured lights helps enhance visitors view and enjoyment. Khao Wang - It is a hill that is about 44 metres high and was originally called "Khao Sattanat". It is located two kilometers west of the town. King Rama V had commanded a palace to be built on the hill and made a royal visit to receive the Portuguese minister in 1887. The palace area was donated by King Rama VII to be used as a monastery, which was later called "Wat Khao Wang". Tourist can get to the hill by cable cars and see from the top how beautiful Ratchburi is. Wat Khao Chong Pran - offers the spectacular sunset sight of millions of bats flying out of their caves in search of food. The most popular festival in Ratchaburi is Dammoen Saduak Floating Market & Sweet Grape Week Fair in every year in March. This area is known for famous floating market that comes alive with a fair featuring some typical and unusual avtivities. These include a Thai cooking competition, a "sea-boxing" competition, boating competition, as well as local product sales including fruits and Thai sweets and agricultural exhibitions. Ratchaburi is a land of rich and varied culture and origin, much of which has been preserved and can still be seen today. Amongst the things of interest are the histories, the way of life, the culture, and the natural beauty including caves, streams, forests and mountains. This is why Ratchaburi is still a popular place to visit in Thailand. Ratchaburi Tourism Fair (????????????????) - is held every year during February–March on the ground of the City Hall. Activities include demonstrations of famous handicrafts, such as jar making and "Sin Tin Chok" cloth weaving, the selling of OTOP products and agricultural produce, and folk art and cultural performances by local tribal groups. Sweet Grape and Damnoen Saduak Floating Market Week Fair (???????????????????????????????????????) - is held around March–April of every year to introduce agricultural produce to the market, especially grapes which most people grow in Amphoe Damnoen Saduak. Damnoen Saduak Grape is famous for its sweetness and good taste. This fair features the beauty contest of Thida A-ngun Wan and the competition of quality agricultural products. Khao Ho or Ang Mi Thong Festival (????????????????? ???? ???????????) - is a Su Khwan ceremony or the blessing ceremony for happiness and longevity in life, held around the ninth lunar month. Karens believe that the ninth lunar month is a bad time when ghosts and evil hunt and eat "Khwan" -spirit -of people, so those people may get sick or die. Normally, this ceremony is often held on the full moon day of the ninth lunar month, but if some families are not convenient, they can change to any day in the ninth month. In the ceremony, people boil "Khao Ho" which is sticky rice molded and wrapped in a cone shape; then they will boil it like Khanom Chang. In the past, they ate Khao Ho by dipping it in honey but at present they often dip it in sliced coconut. On the day they boil Khao Ho, the Su Khwan Ceremony will be held, too. It starts with poking a wooden plate and blowing a Khaen for entertainment; then the elders in each family will tie red threads on the children’s wrists and give a blessing for good luck.